Meet the Bluegrass Advanced Materials (BAM) team — where experience and knowledge create innovative new products. Dr. Wyse is President, CEO and partner at BAM and brings over 28 years of business experience in the life science to the BAM team. Dr. Wyse’s business background includes intellectual property management, patent landscape analysis, technology valuation and strategic options assessments. Dr. Wyse’s scientific background in chemistry gives him a unique perspective to craft targeted business strategies. Formerly, Dr. Wyse founded Wyse Innovations in 2010, a consultancy focused on assisting clients in maximizing the value of their intellectual assets. Dr. Wyse served as CEO of Coldstream Laboratories, Inc, a contract pharmaceutical development and licensing company, in 2007 as a spin- off of the University of Kentucky College of Pharmacy. Under his leadership Coldstream Laboratories achieved FDA approval for commercial manufacture of a generic injectable drug product. Dr. Wyse served five years at PriceWaterhouseCoopers where he was Director and founding member of PwC’s Intellectual Asset Management practice. During that time led the effort to develop and apply proprietary data-mining tools that provide strategic insights into a client’s and competitor’s intellectual property portfolios. Dr. Wyse received his bachelor degree in Chemistry from Asbury College. He completed his Doctor of Philosophy in Chemistry from the University of Kentucky. Dr. Dziubla is a founding partner in BAM where he showcases his research in oxidative stress as a tuning mechanism for the control of biomaterial compatibility. Materials developed by BAM will utilize technology invented by Dziubla. 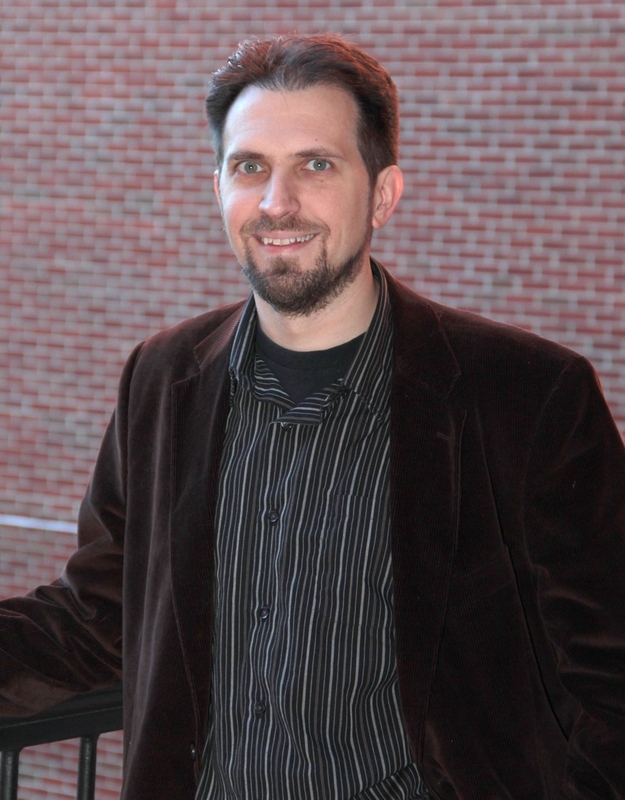 Dr. Thomas Dziubla is a Gill Professor and Director of graduate studies in the Department of Chemical and Materials Engineering at the University of Kentucky. He received his Honors B.S. in Chemical Engineering at Purdue University in 1998 and his PhD in Chemical Engineering from Drexel University in 2002. He was an NRSA postdoctoral fellow in the Institute for Environmental Medicine at the University of Pennsylvania School of Medicine at the Institute for Environmental Medicine, where he worked on the design of degradable polymeric nanocarriers for the delivery of antioxidants. Dr. Hilt is a founding partner in BAM ground by developing state of the art biomaterials. Materials developed by BAM will utilize technology invented by Dr. Hilt. Dr. Hilt is the Professor of Chemical Engineering at the University of Kentucky. Dr. Hilt’s research laboratory focuses on the design of novel hydrogel biomaterials, the development of novel methods to synthesize and characterize the hydrogels at the micro- or nanoscale, and the application of these materials as biomedical devices or functional components of biomedical devices. Dr. Hilt received his bachelor degrees in Chemistry and Physics from Miami University (Ohio). He completed his Masters degree in Chemical Engineering from PurdueUniversity and his Doctor of Philosophy in Chemical Engineering from the University of Texas at Austin. Brock Howerton has over 6 years of experience in pharmaceutical analytical method development, as well as 9 years of experience in bioinorganic and environmental chemistry. Previously, Brock has worked as an analytical chemist, bioinorganic chemist, and environmental chemist. In the pharmaceutical industry, he has extensive experience in the areas of cGMP manufacturing, FDA audits, and analytical method development. Furthermore, Brock is an expert in the design and synthesis of small molecules and has strong expertise in instrumental analysis and product characterization. Brock completed both his M.S. and B.S. degrees in Chemistry from the University of Kentucky. His research has resulted in 15 peer reviewed articles. Brock holds a US patent surrounding the identification of a new class of ligands that contain multiple binding sites for heavy metals and forms stable metal-ligand precipitates. Carolyn Jordan is an expert in poly(beta-amino ester) film synthesis, reaction kinetics, and micro/nanoparticle development. While working as a graduate student, Carolyn has spent over 4 years developing materials to study the response of tunable, controlled release systems for the treatment of oxidative stress and induced disease. Additionally, she has worked on multiple projects surrounding the investigation of controlled release anti-inflammatory gauze materials to lab scale PBAE particle incorporated PLA filament for the use of 3D printed controlled release antioxidant scaffolds. Carolyn Jordan will receive her Ph.D. in Chemical Engineering from the University of Kentucky in 2018. She received her B.S. in Chemical Engineering from the Illinois Institute of Technology.